Home » Anatomy , Biology , Human Body , Skin » How much does the human skin weigh? How much does the human skin weigh? Q. How much does the human skin weigh? The human skin is the body's largest organ. Most adults' skin weighs in at 15-20 pounds or more. Of course, the weight of skin varies depending on its owner, with thin people skin weighing less than their heavier brethren. If you were to tear off and spread out the average adult's skin, it would cover approximately 20-21 square feet (2 square meters). At up to 1.95 square meters (21 sq ft) the skin is the largest of all human organs weighing between 6-10% of body weight. Oil glands stop skin drying out. Skin cells are continuously shredded and replaced. Skin is a versatile organ with an ideal pH value of 5.5. Skin is the outside covering of animals. The skin of different kinds of animals is very different. Many kinds of animals have hair or fur on their skin. Birds have feathers on their skin. Most fish, and reptiles, like snakes and lizards, have scales on their skin. 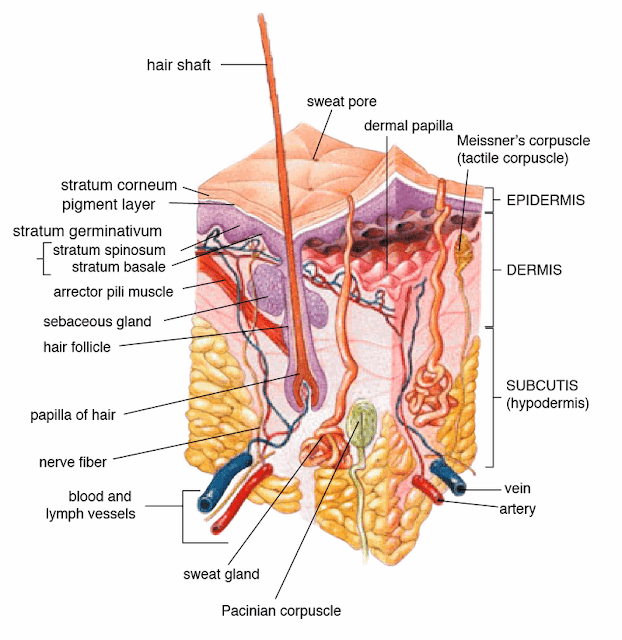 The skin of human beings usually has very small hairs on it that are hard to see. Some people have more hair, or hair that is easier to see, and some have less. People have hair that is longer and easier to see on some parts of their bodies, such as the tops of their heads and men's beards. The skin is actually the largest organ of the human body. Without our skin, we would easily get infected with diseases and viruses. This is why it is very important to have a sense of hygiene otherwise we get very ill. The skin’s color is created by special cells called melanocytes, which produce the pigment melanin. Melanocytes are located in the epidermis. Thanks for reading How much does the human skin weigh?